If my stats are any indication, many of you are relying on the Facebook page to alert you to new posts here. If that’s the case, I have some sad news. Facebook is consistently and strategically hiding each post from up to 90% of you. It’s worse than it’s ever been and expected to continue! This is true for ANY Facebook page you like! Like any other business, Facebook wants to make money. They’re purposely limiting who sees posts from Facebook pages and then forcing the company (blogger) to pay for their posts to show up in their fans’ News Feeds. Even when posts are highly engaging (which normally makes it show up more), only 30% of you are seeing even those posts. You’re missing out on some great conversation and you don’t even know it! Here’s what I really hate about this: when I pay to promote a post, it automatically turns a post into an ad. I feel like I’m spamming you, and you feel spammed (just me?) If it were like a traditional subscription service where the consumer pays for the content (think magazines), then you better believe I’d be honored and willing to dole content out! While I’m not saying I feel like the content here is worth paying money for, I am saying that this model Facebook set up does not work well for bloggers. I don’t mind spending money to promote posts to make sure you’re getting the content you asked for (you’ll see Sponsored underneath), but I can’t do that consistently either. Below I have 3 alternate, automated ways you can be sure you don’t miss a post. I hope this helps you not just with this blog but others too. If you really want to continue using Facebook to hop over here, choosing to “Show in News Feed” is not enough action (since they’re not actually doing that as you requested). You need to turn notifications on. You can do that by going to the Facebook page, click on Liked so the drop-down menu appears, and then select Get Notifications. When you do this, you’ll get a notification the second I post something new to the Facebook page. I’ll be honest on this option: if you do set notifications on for too many blogs, your notifications are going to drive you a little bonkers. Options 2 or 3 might be better. If you are savvy enough to know what an RSS feed is, this is probably a moot point, but you can use sites like Feedly.com or Bloglovin.com to subscribe to this site’s RSS feed. I always compare it to a blog-only email inbox. The downside to feed readers is you have to remember to visit the feed reader to read all the posts. The good news is when you eventually revisit it, ALL the posts will be there waiting in sequential order for you. This is actually my preferred method of keeping up with blogs. I find that RSS subscriptions are a little too technical for some, so Option 3 is probably your best bet. The best way to be sure you’re getting alerted to all the posts is to have it delivered to your email inbox. For this site, an email is delivered around 7am with the previous day’s post. If you want to sign up: go here. This option is great since most people keep a consistent eye on their email and you have total control about comes in and what doesn’t. If you need a good way to organize incoming emails from your favorite bloggers, check out my post on how to use filters to manage your inbox. Alright, that’s my PSA for the day. If you are reading this at all, I appreciate you so much! You just have no idea how much I think of you! If you start seeing some Sponsored posts on Facebook, please don’t feel spammed. My goal is to get the posts out to people who have already stated an interest in reading content here. I’m trying to help! Share this post with your friends, readers or anyone else that might benefit. Facebook is NOT being nice but hopefully with these options, we can still connect with the content we want. I’m back from Allume 2013 (Christian women’s blogging conference) and I’m skipping right to the deep stuff. 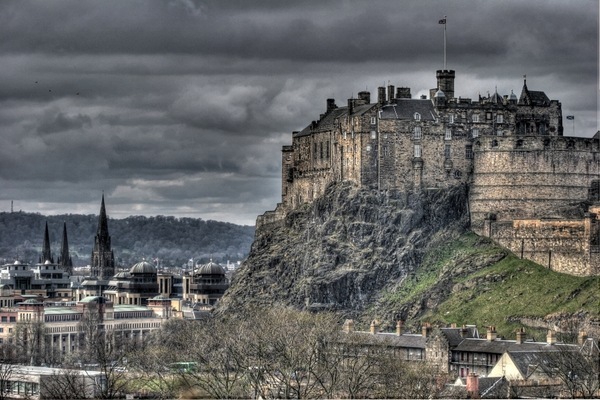 For my regular readers, you’ve gotten nothing but crumbs the past few weeks. I hope this makes up for it. Grab a cup of coffee and hang in there! God does some cool stuff at the end! After Allume last year, I knew I wanted more than ever to my words to matter. My blog wasn’t just an online journal or a hobby to me. I rebranded and read all I could about writing and increasing the audience here. I was just about desperate to grow and make a difference. As part of that training, I signed up for Lysa TerKeurst’s Compel Training about a month ago. It’s a private online training course for writers. I love Lysa and her work and was ecstatic to soak up what I could from a 14-time author. I started a session on goals and the speaker said something like, “I assume if you’re listening to this then God has called you write. That means making goals and writing is nothing short of obedience.” I clicked the pause button almost out of anger. I had no goals and in fact, did not remember ever being called to write in response to a call from God. Sure, I’d prayed about it before and never felt called to quit blogging, but I’d never specifically felt called to write either. At this point in time, I was struggling so much with coming up with content at all. Even though I was learning all of this stuff about how to create content, my heart felt dry and it didn’t seem that God was giving me anything to share. I have an advisory board for the blog and even they seemed to stay mum. With response almost nil and ideas lacking, I started questioning everything. Should I quit? Does God want me doing something else? Have I been called to write? Was it time to step away finally? A few weeks passed and the word “intimacy” kept coming up in sermons or blogs. I knew Allume was coming up and I sensed that God was beginning to prepare me for the weekend, so I made a concerted effort to dwell with him. I made a specific playlist and worshipped him in the mornings. One of my favorite songs was Oceans by Hillsong United. I read blogs with a Christian focus and really tried to listen to God speaking. I kept a journal on my desk of things I heard him saying to me. The first post God took me to was one about giving God nothing—meaning, we need to give up the idea of needing to give God anything to be accepted. I had to ask myself did I really believe God accepted me just as I am without ever writing, or even doing, anything for him? I felt God asking me to stop writing for a time—give him nothing and really dwell with him. He showed me I was no longer blogging out of a joy and overflow of his grace, but as something I saw as a duty—one he hadn’t even asked me to do! God began showing me that once I write out of joy, then God can bless and then HE will make every good work abound. If you look up the original meaning of “good work” it actually can be translated to “art”. He was responsible for making the writing abound! 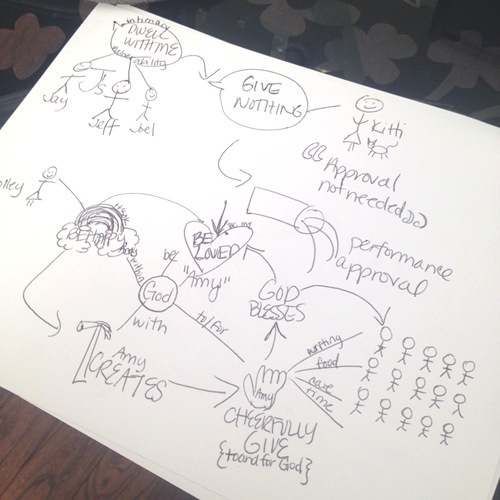 Through Andy Stanley, God opened my eyes to my addiction to applause. If I didn’t get enough feedback or comments or shares, I felt like the post was an utter failure. My joy was contingent upon the response and the worse the response was on one post, the worse I felt about the next one. It was a terrible cycle. 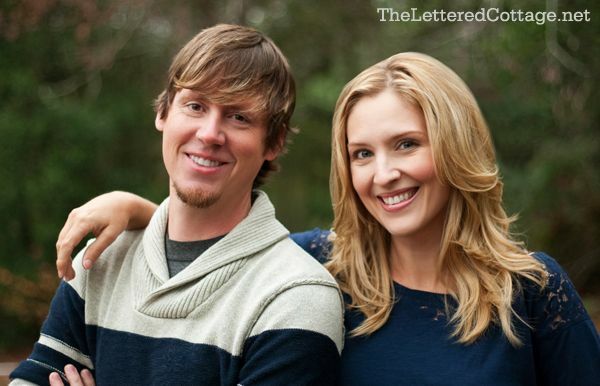 Through Holley Gerth and Joel Clark, I knew I needed to live a better life. By all accounts, I have a great life but I felt like I needed to sacrifice all the time. Making myself happy on purpose seemed overly indulgent. I’ll let you read through their posts but it’s not supposed to be this way! I couldn’t give cheerfully if I was trying to be miserable! Not only did I need to live well but I needed to be loved well. My name “Amy” means beloved and God wanted me to live up that! He wants to love us ALL so much! My true joy and ability to give cheerfully is born out of giving back because he gave to me first out of love. Through all that, I learned once I gave, the outcome was not up to me. My job was to cheerfully give back through writing and any outcomes were up to him. Whether I ever went viral or even impacted one person, the act of writing was meant to be out of thankfulness and an expression of joy to him. To summarize, God called me to dwell with him and give nothing for a time. In that, he led me to dump all the acceptance and approval. My new cycle was to be loved by him, be happy and live well within him, create out of the overflow with him, cheerfully give that to and for God and then let him bless it which would then feed into impact to others and his love to me. Whew. Walking into Allume, this exact picture was in my suitcase and on my heart. I walked into Allume still with the question, though, God, is this what you’ve called me to? I wanted God to confirm what I felt he’d been telling me. Or maybe, he’d ask me to walk away. Sarah Mae says we need to learn to go back to our first love. Logan Wolfram says a life well-lived is full of good content. Ann Voskamp says when you write for an audience of one, you always count. Ann says our hunger to be known is a good, God-given appetite and we ought to feed the hunger with what makes you beautiful not anxious. Ann says the greatest tragedy is to be widely known instead of known intimately. Ann reminds us to focus on a name that calls you BELOVED. Melanie Shankle said security and approval comes when we know we are loved and adored by Jesus who has our name engraved on his hands. Melanie says God sees us even when the world doesn’t. September McCarthy reminded us to live well with our family. Joy Thigpen talked about finding something that makes ourselves and others bloom and finding an outlet for our creativity so we are just a conduit. Jennie Allen changed her entire keynote by the spirit’s prompting to talk about sins that have us entangled and God’s desire to free us. Her specific struggle? Letting go of approval. Bianca Olthoff talked from Ezekiel 37 where they saw dry bones and how God is reviving us and those around us. I can’t even fit all the applicable notes. The final night, though, something very personal and special happened. Jeff Shinabarger spoke as our final keynote and do you know what set of verses he shared? 2 Corinthians 9!! He talked about us being cheerful givers and being generous without expecting anything in return. David Walker came up after to lead us in worship. I was in tears the entire hour and then was blown away that the last song they sang was the exact song from my playlist that I’d been worshipping God with—Oceans. I was singing and crying and praising God and someone came up behind me and asked to pray for me. I didn’t know her. She’s not a blogger and had no idea who I was either but felt led to pray for me. I can’t remember all she spoke over me, but she said she felt that I was feeling spiritually bankrupt and that God wanted me to know he was with me and hovering over me as I searched for him in the darkness. He delighted in me and that it was like the alabaster jar, broken and a wonderful perfume being poured out. She prayed a second time after I had gathered myself and gone back over to her. She said she saw Samuel and Eli when Samuel kept thinking Eli was calling for him and it was God. Eli told Samuel to say, “Here I am”. She said that’s what was required of me…that God was calling and that all I needed to say was Here I am. Y’all. That’s not even the end. Worship was over and I had won one of 10 paintings that artists had been painting during worship. Logan had explained that there had been prayer over the paintings and she wanted us to talk to the artist and said she believed it was a message for us. 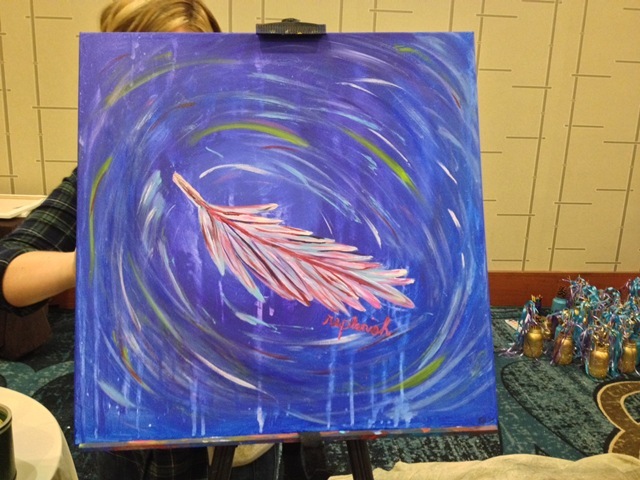 I began crying again as I saw my painting was of a feather. When I did the rebranding this year, we had found a theme of feathers and wings in my Pinterest boards—a symbol of encouragement and lifting others up. And more than that, the word “replenish” was painted below the feather. Y’all. I can’t even stand it. Here I am crying out to God to be called, feeling broken and dry, looking to others for approval and acceptance—a stranger even confirms I felt bankrupt–and God just shouted back to me, I see you broken, I love you, I want to replenish you and call you out for my purposes. You just need to be available. After all of that, I believe my calling is simply to dwell with him and be available for whatever purposes he has for me. My writing will be an overflow of that relationship and will be to and for him. Through that process, I hope it does encourage and lift others up but that’s not my job. God is the lover of our souls, not me! I know this stuff is deep and spiritual and charismatic and whatever. THAT IS GOD. He cares so carefully about each one of us like this and we should all be experiencing him. I love him more than ever and he’s just so faithful to me. I screw it all up and he still cares enough to call me his beloved. To those of you who have been readers here, I am bent low apologizing. If you ever have been blessed by words here, it is a true work of God that has filled in the gaps. I have no idea what this blog will look like from here on out. It could look the same or different but know the heart behind it has changed. To the organizers and speakers of Allume, please know that God moved mightily through your faithfulness and sacrifice. Thank you. Alright, folks. It’s time to discuss the survey results! Thank you so much for participating in our first survey. It’s already helped me so much to understand who you are, what you like and what you don’t. Grab a cup of coffee because this is a long one! I’m a nerdy visual learner, so I made an infographic. For those who prefer to talk it out, just keep scrolling down and we’ll chat afterwards with a recap. If you’d like the data without the pretty pictures, I have a PDF of the raw results for you here. You’re likely a married woman from your late 20’s to your early 40’s, have kids at home, live in the US and don’t blog. Basically, we’re a lot alike other than the blogging thing, obviously. Lots of you don’t fit that description but no worries! If you’re male or single or don’t have kids or live in Australia (I wanna come visit), I still love you and desperately want you to keep coming back. Diversity is a GOOD thing! Most of you found the site directly from me (on or offline) or someone else you know on or offline. That sounds kind of obvious but what I mean is there’s not a lot of people finding the blog from Google searches and then hanging around or even following me back from a comment I made somewhere, which I find enlightening. On an on-going basis, a lot of you are subscribing at Facebook or an RSS reader. A small percentage of you don’t subscribe at all and should! Like the Facebook page, subscribe through RSS or email. I’m not hearing a big demand for a newsletter. On the other hand, if I found a way for it to be awesome, most of you would be down for that. Obvious follow-up question: for those that said maybe, what content would make it worth it to you? For most of you, your favorite posts are personal/memoir, parenting or faith. The personal one seemed like a gimme since this is a lifestyle blog, although it was good to get confirmation you like to hear about the every day things. But I’ll admit the parenting one surprised me. I always hear people get annoyed when you talk about your kids too much. No? And finally, the faith one encouraged me. It was great to find out my favorite things to write about are your favorite things to read about. We’re a perfect match! 30% of you didn’t list a least favorite topic at all. Those that did said fashion, gardening and book/movie/TV reviews were your least favorite. Surprisingly, only one of the males listed fashion as their least favorite type of post. I can understand the fashion (for real, it’s not my forte) and gardening (I’m no expert), but I’m a little sad about the book reviews. Not only did 16% of you suggest it was your least favorite topic, only 34% listed it as a favorite topic. I think I’ll come up with a different way to share what I’ve been reading. So, that recaps the infographic. I’d love to know what other insights you have of the data, nerdy people. If you’re looking for a full list of the blogs, I uploaded a PDF of all the blogs you read. 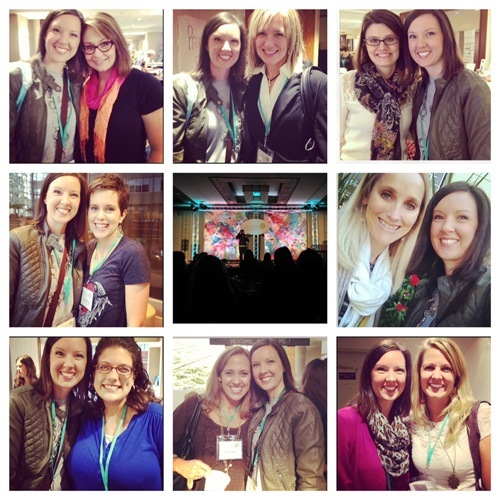 I love a lot of those blogs so I was happy to see some friends on there! I take it as a great compliment and appreciate it! So, if you like this blog and want to check out more, bookmark a few of those! This list gave me a really good idea of your perception of what this blog is about, so I can’t thank you enough for taking the time to list those. You guys like that I’ve infused faith more actively into all sorts of posts, regardless of the main topic. You all want more honesty and transparency, regardless of how I believe it might be received. You especially like when I share struggles you may relate to. You like the differing content. You want more life stories. In general, you seem to just like following along on the journey. I can not tell you how affirming and encouraging these statements are. It truly inspires me to dig deep and be brave. I enjoy writing here so much but at times feel like I’m not doing it right or not measuring up. What I’m realizing though is I just need to be me and that’s enough. You guys are helping me learn. For that, I thank you greatly. Whew! Congrats if you’re still reading! 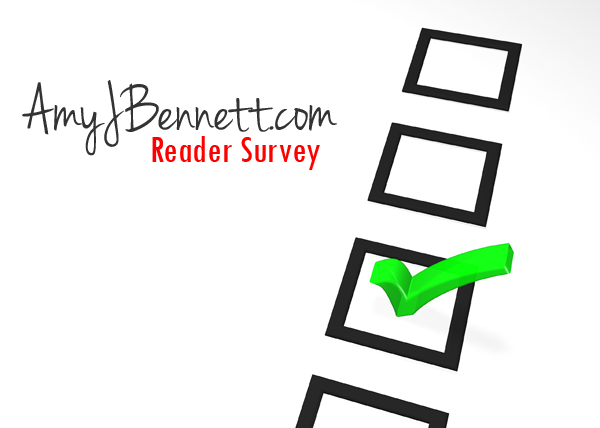 Once again, thank you so much for taking our Fall 2013 Reader Survey. I hope to make these more regular. Now, hit the comments and let me know what surprised or disappointed you, what questions you’d like to see answered and any feedback you have on the survey itself! Hint: I wish I would have asked you about your faith background and also if you work! We’ve never done a ready survey here and it’s about time! Recently I’ve been trying to plan content but, at times, it’s been hard to make a decision because I don’t have a great idea of who all of you lovely people are. Knowing a little more about you and what you like and dislike, even anonymously, will help me a ton to plan content and direction. I have just 17 very quick questions for you to answer. Pretty please hop over from email or your reader and take just 2 minutes to fill it out. I’m planning to post a summary of the results next Thursday. The survey is posted right below or if you have issues, here’s the direct link. Thank you so much! Two of my favorite things in this world are couples in love and blogging. And when you put those two things together? Consider me charmed. I read a lot of blogs but always have a special place for couples that blog together. A couple that blogs together, stays together? I don’t know about that, but I DO know they’re fun to read and I want to share with you in case you might be missing out on the bloggy love. Let’s start out easy here, shall we? 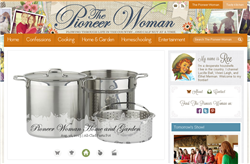 The Pioneer Woman and Marlboro Man were my first blogging crush. In fact, I still remember my friend Carolyn sharing a link to the Black Heels to Tractor Wheels series she was writing so many years ago on her blog which is now captured in her book of the same name. I couldn’t get through their story fast enough—it totally tortured me to wait so long between installments. While most people know Ree for her food, I would say their love story is actually what hooked a lot of people to her blog. Four kids later, I love how she still talks about his chap-wearing backside and chiseled forearms. 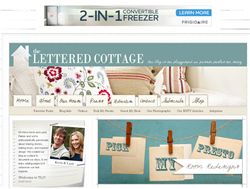 Kevin and Layla make up the cottage-y design blog The Lettered Cottage where they share their design escapades and life stories. You may know Kevin as the photographer of the site and also one of the guys behind ShootFlyShoot that I love so much. Layla is the ninja designer behind the site. Kevin and Layla are ridiculously talented and adorable and way too cool for school. I have a total couple crush on the two of them. Funny enough, Layla has helped Pioneer Woman with some design work in the past. Maybe all of us can triple date and hang at Ree’s ranch one weekend? Hello? Anyone? I’ve only recently started following House of Rose but I’ve quickly become a fan. 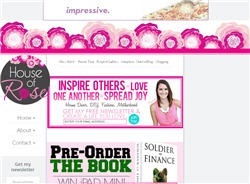 House of Rose is a lifestyle blog of Mandy’s but her husband Jeff (who also runs his own site GoodFinancialCents.com) often posts as well. They run Dollars and Roses together where they talk about their blogging income from their individual sites (which is massive—go learn from them). I love how much fun they are and since this is a professional gig for them, everything is top-notch quality. If you know their history (must-read)—things weren’t always “coming up roses” for them and seeing how far they’ve come makes following them even better. And, if you haven’t checked out Jeff talking about what it’s like to be the husband of a blogger, you simply must. Sherry and John of Young House Love are serious DIYers. They even wrote a book about it! 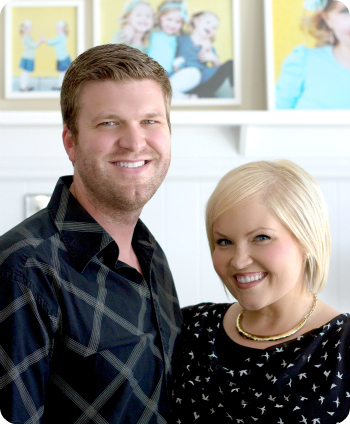 They’re funny and talented and you can’t help but love these two as they transform their houses. Go see house tours of their 3 houses. Just recently, they brought their new back deck to life of their current house. Bonus: they’re friends with Katie Bowers, who runs another of my favorite blogs, Bower Power. Shelley and Cason are a duo that run a DIY site—The House of Smiths. 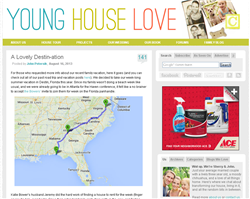 You may recognize her site from the insanely cute pantry she redid a few years ago. The pantry is just the start of their awesome projects. 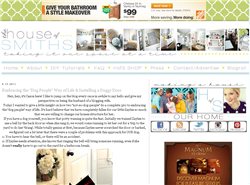 Just last week, Cason jumped on the blog to talk about how to install a doggy door. And Shelley always has fantastic Favorite Things posts (she’s the one I found my awesome iPhone cord through). Shelley is also a serious Instagrammer and I love the bits of life you get to share of the two of them and their 3 daughters. They are a seriously cute couple very much in love with an adorable family. 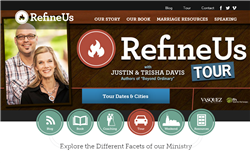 Justin and Trisha Davis run their ministry site/blog RefineUs.org together. 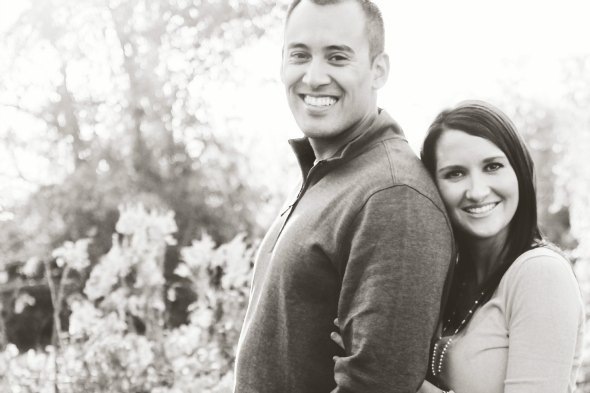 After a brutal season of infidelity and near-divorce, Justin and Trisha now help other married couples through their ministry Refine Us which includes a book, personal coaching, and weekend retreats. It’s fantastic watching them work together knowing what they’ve overcome. Just recently, Justin turned 40 and Trisha shared a letter she wrote to him in 1994. Adorable! I’m sure you can already see what lovely couples they all are and why I’m smitten with all of them. They work hard and laugh hard together and it’s a joy to watch. Be sure to follow through to their blogs to subscribe away. I just know you’ll enjoy them like I do. Now, I just need to finally convince Scott to jump on this blogging bandwagon with me! I know there must be a ton more blogging couples out there and I’d love to meet them. Who would you name the Internet’s Best Blogging Couple? 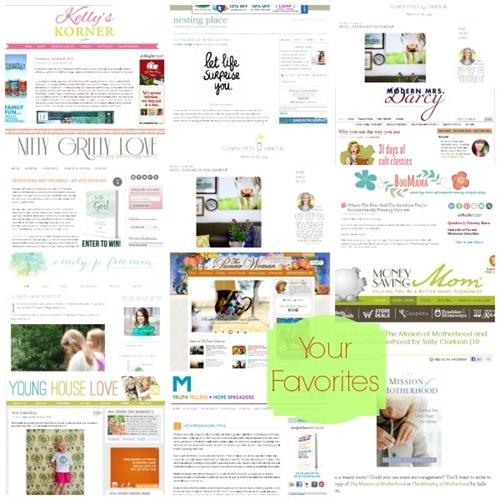 Don’t forget to share this with a friend that might enjoy some bloggy love! I’ve been wanting to join this Old School Blogging link-up but just haven’t been able to make the timing work. I mean, who doesn’t love a good meme? OK, fine, some people hate them but since I’ve been blogging since 2002, it brings back fond memories of the early days. And we all know I’ve gotten a little sentimental in my old age so I’m going for it. If you have no idea what a meme is, it’s basically where everyone answers the same questions and then makes other people do it too. This month’s meme is called a List of Fives where you share a few lists of five things about you. Jesus. Ok, so I gave a Sunday School answer on the first question. I can’t help it. I really do feel passionate about knowing Him! Reading. I’ve realized lately just how much of a reader I am. I read someone’s blog recently which said they were reading their first book in 10 years and I like, couldn’t breathe. I can’t imagine not having at least 2 books going at a time, much less waiting TEN YEARS for the next one. Writing. If you would have told me I’d list this 20 years ago I would have laughed in your face but it turns out I really do like writing. I’m currently in a phase of learning about fiction writing and it’s so much fun! Photography. I’m not so much passionate about doing it all just right but I am passionate about capturing moments in photos. Sometimes I feel like if you don’t get a picture of it, it didn’t happen. Family and Home. I’m listing this one together because I don’t know how else to say. Homemaking, maybe? My heart is passionate about making our house a home, knowing my kids better and raising them and strengthening my marriage. Be a grandmother. I know that’s kind of weird but I already think about Emma and Lexi being parents and how much fun that will be! Publish a book. OK, so I have Entangled and I’ve technically written a novel but I’d love to publish a book with a publisher. I’m bailing on this one. I just don’t get into bucket lists. I think I’d sum this one up but saying I want to complete the good works God has for me. Stop it. Not as in kids quit doing that, but as in shut up, you’re kidding me. I say that when someone says something unbelievable. Some form of put that back, pick that up, clean that up. Oh my gosh. I say it all the time for all sorts of things. What do you want to eat? All the time. Emma! Lexi! Scott! I’m always trying to get attention from one of them. I’m so not good at movies. It is rare I watch a movie more than once. Breaking Dawn. Don’t hate me. They finally got it right with the last one. 17 Again. It’s Zac Efron and I could watch it a billion times. What else do you want from me? 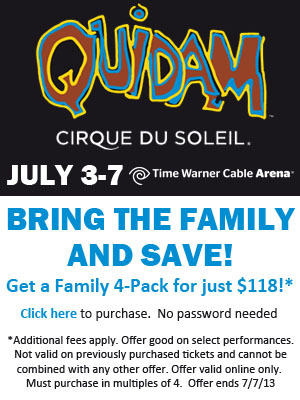 Alright, folks, we’re just one week away from the Quidam Cirque du Soleil show in Charlotte. Are you ready for the winner of the giveaway for FOUR tickets? *squee* I’m so excited. I haven’t picked the winner yet as I type this so if I weren’t busy typing, I’d be rubbing my hands together. OK, I’m back from random.org. I would love to give this to my brother, his very pregnant wife and 2 girls in SC. They would eat it up! Niki could not make it so we drew a second name: Comment #17 Tammy! Congrats! And if you missed winning the giveaway, remember there is a discount for a 4-pack. No promo code is required. Just use this link or click on the image below. 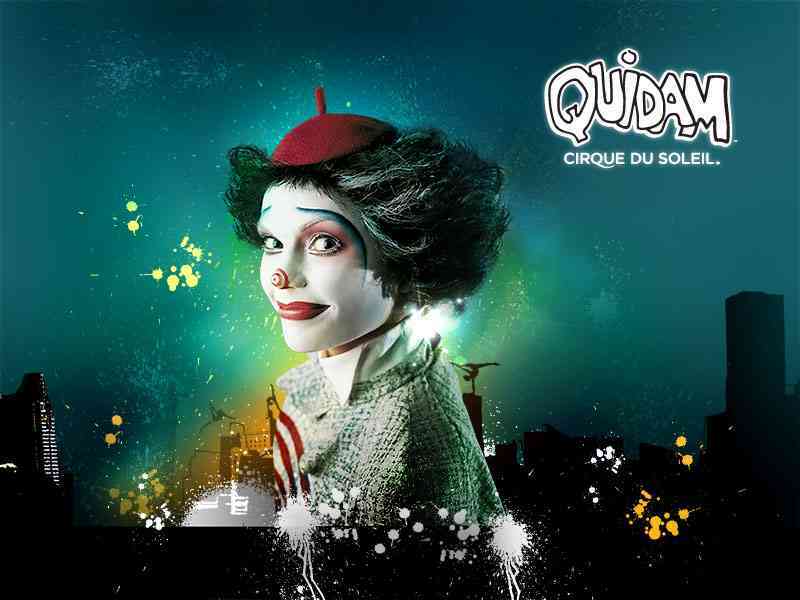 We’re attending the Wednesday night show and I’ll be back on July 4th for a review. If you’ve been a reader here for long, you know Compassion is a ministry close to our hearts. One of my favorite events in the blogging world is when blogging and Compassion collide a few times a year for their Compassion Bloggers trip. This week a group of bloggers are in Nicaragua. Each day, they’ll all post the stories of what they’re seeing, how they’re impacted and what we can do. Many of my favorite posts and bloggers have been found through these blogging trips. Compassion has a feed of all the blogs here, or below is a list of each of the bloggers. 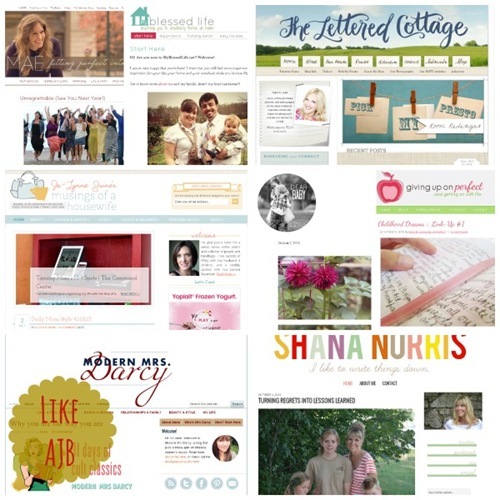 Visit their sites and find whatever social media tools you prefer to follow blogs. Or, follow on Twitter with the hashtag #compassionbloggers. Promise it will be worth your time.